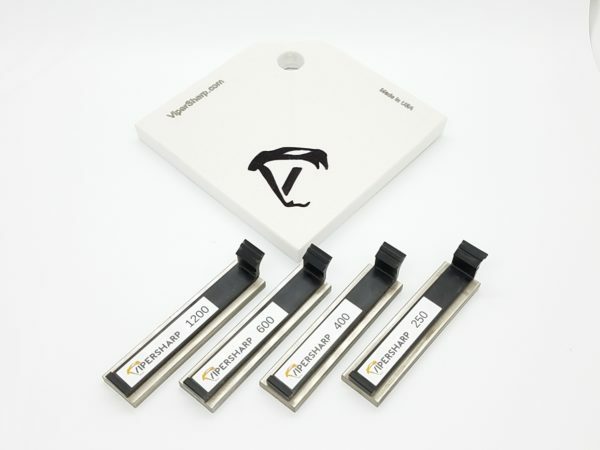 The ViperSharp Diamond Knife Sharpener System is the perfect system for your super steels. 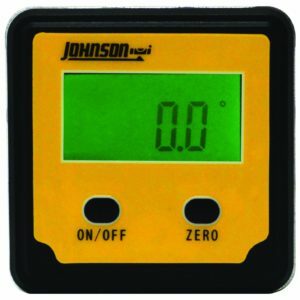 Now you can sharpen those high end knives with precision accuracy. 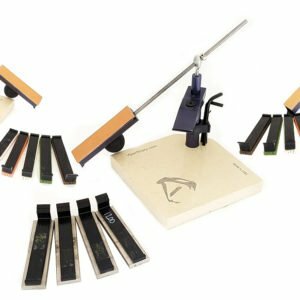 The diamond sharpening stones in this new kit will offer you only the best sharpening experience. Be sure to add the oil for a smooth, gliding sharpening experience. All upgraded parts including the longer guide rod and upgraded upright assembly come standard with any kit ordered today. Precision knife sharpening is important for anyone who uses a knife. The ViperSharp Diamond Knife Sharpener System will assure you a perfect edge every time. A sharp knife is safer than a dull tool that may slip or require more effort than needed for the job. The ViperSharp system will make sure you get the exact angle you desire on every pass. No more messy edges. No more sloppy systems. Just the perfect edge you desire fast and easy. 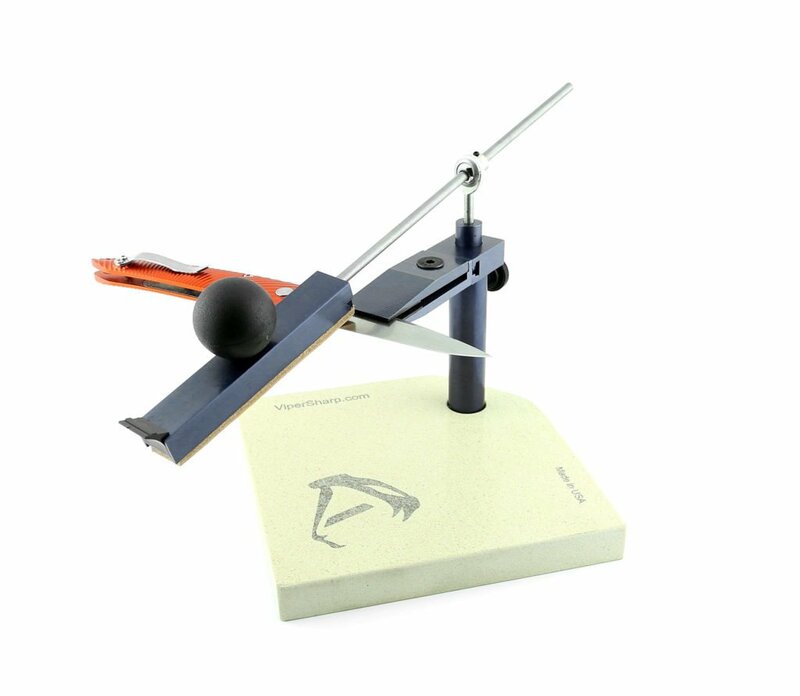 The perfect professional sharpening system. If you’ve been looking for a good solution to sharpen your knives, a precision sharpening system that will give you the edge you need look no further. The ViperSharp Diamond Knife Sharpener System is you solution and will give you excellent results every time! You get all the great benefits of the ViperSharp system with the added benefit of diamonds to cut through those high quality blades you like to use. *Diamonds are heavy! International orders will be a little more expensive to get shipped. Generally we are not quite covering our actual shipping costs but the cost to ship overseas is higher than the continental USA. I have one of the expensive Russia made systems that is very difficult to sharpen small knives. I purchased ViperSharp’s pro system and am extremely satisfied with it’s simplicity and ease of use. It is well money spent that gets the job done. That’s seriously one of the coolest things I’ve ever heard!